A how-to guide to each of Kettering's databases. The ultimate companion for the business-minded person, HBR is an unrivaled source for everything that's important in business. Two methods of access: 1) Through Business Source Premier (use link above) or 2) Sign-in at the HBR website. Please see a librarian for credentials. 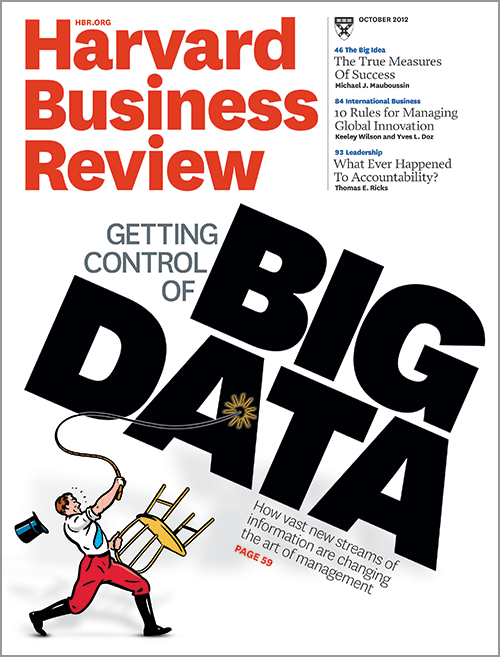 Harvard Business Review is included in Kettering's subscription to the database Business Source Premier. This link (on or off campus) will take you directly to the landing page of HBR inside Business Source Premier, allowing access to articles from 1922-present. 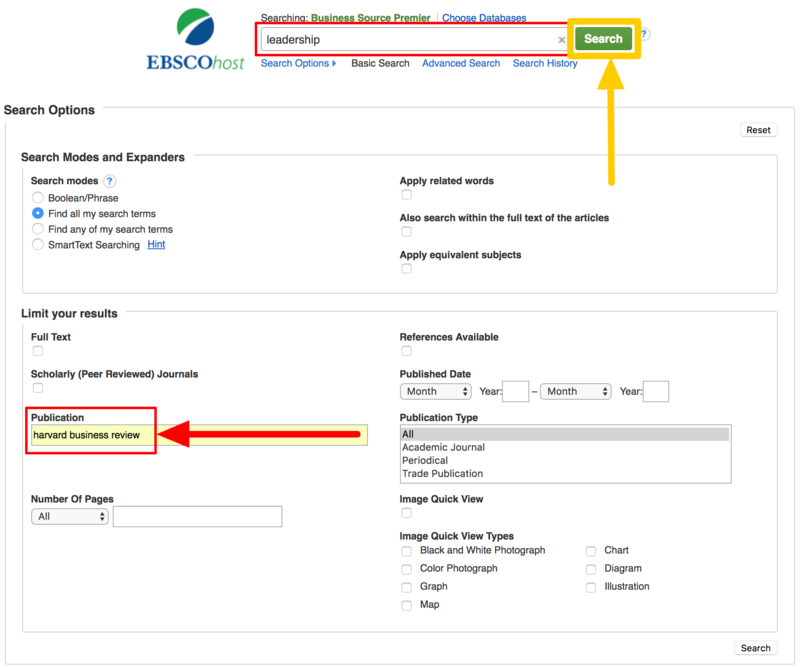 Use the years on the right hand side of the page to find specific issues, and the Search within this publication option to search. Sometimes the "Search within this publication" function doesn't work very well. An alternative option is to use the Search Options function of Business Source Premier. Options are under the main search box. The search below shows a search for leadership within the Publication: harvard business review. Kettering Library also has single-user access to the Harvard Business Review website. 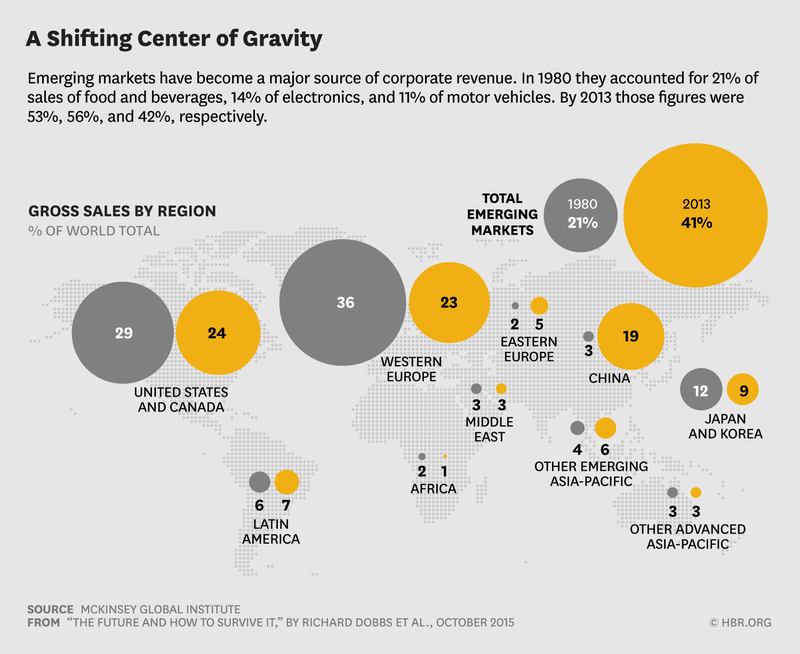 Normally, HBR allows general public users to access up to four free articles per month. By signing in with Kettering's account users are allowed unlimited access to articles. We do no have access to any HBR books or toolkits. If you see something of value that asks for you to pay for it, please submit an Interlibrary Loan request and the library will cover the cost. 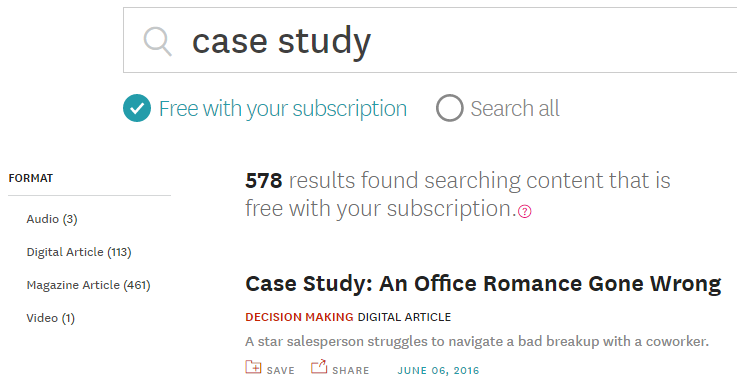 While our Kettering subscription does not provide free access to HBR's official Case Studies, by doing a search for "case study" and limiting to "Free with your subscription" you will see case studies that appeared in the magazine as articles. Our Kettering subscription allows full access to The Visual Library, which is a continually expanding collection of comics, infographics and charts, and pre-made PowerPoint slide decks on all business topics. These are free for download and cleared for reuse. Kettering University Library maintains a print subscription to Harvard Business Review back to 1994. They are located in the back of the library in our Periodicals collection. Let a librarian know if you'd like to use one for a class project, as they normally do not check out.